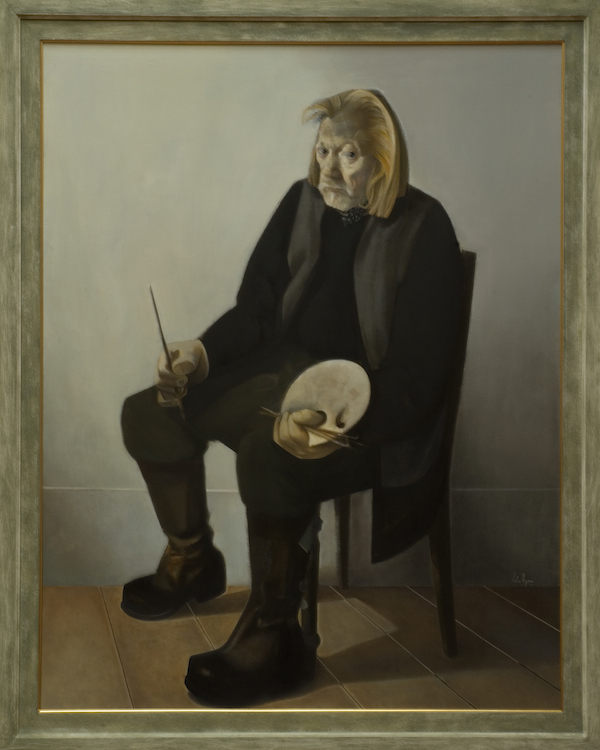 A stunning new exhibition of portraits by one of the UK’s most versatile and accomplished artists has opened the summer season at the Scottish National Portrait Gallery. Born in Paisley in 1940, John Byrne has had a remarkable career over the last five decades, enjoying huge success as an artist, theatre designer, playwright and screenwriter. As a painter, as in life, Byrne is difficult to pin down, skillfully switching between an extraordinary array of styles, in a manner which betrays his restless intelligence and his remarkable ability to absorb disparate influences from the art of the past and draw upon them at will. 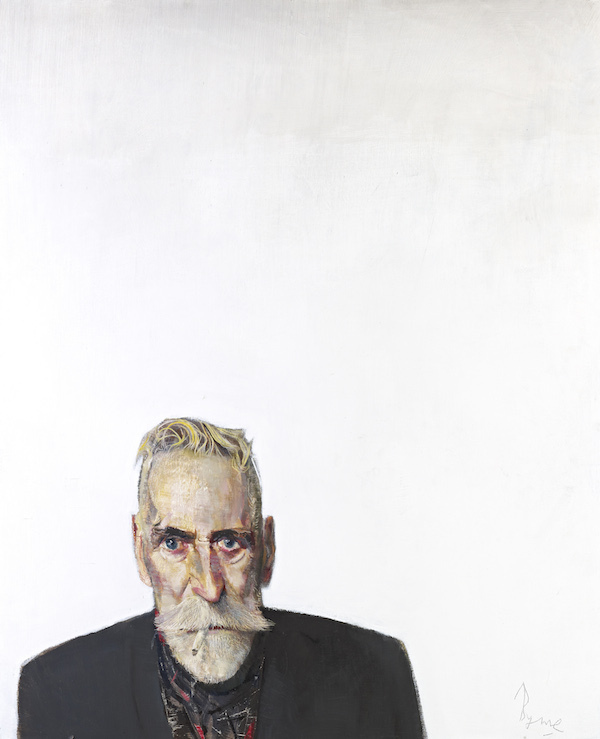 John Byrne: Sitting Ducks will explore and celebrate Byrne’s innovative and richly varied portraiture, with a selection of around 30 paintings and drawings, dating from the early 1970s to the present day. Focussing mainly upon sitters who are close to him – his children, partners, family members, friends and colleagues – it will also feature many witty and insightful self-portraits, such as Self-portrait with Yellow Cigarette (1986) and Ceci n’est pas un Auto-Portrait (c.2003), his homage to the Belgian surrealist Magritte. Among the highlights will be a number of striking portraits of the actress Tilda Swinton, the artist’s former partner; iconic images of Billy Connolly, whom Byrne first met through their mutual friend, the singer-songwriter Gerry Rafferty (whose beautiful, hand-painted guitar will also be on show); and an unforgettable portrait of the actor Robbie Coltrane in the guise of Danny McGlone, one of the principal characters in the six-time BAFTA award-winning series Tutti Frutti, which Byrne wrote for the BBC in 1984. Alongside these well-known images will be a fascinating selection of more intimate and revealing works, generously lent by a number of private collectors, which have rarely been seen in public. These include brilliant and touching images of Byrne’s children: John and Celie from his first marriage (the latter featuring in an extraordinary pastel sketch from the early 1970s, Celie Watching TV); and Tilda Swinton’s twins Honor and Xavier, who appear, singly and together, in a number of memorable portraits. The exhibition’s punning title underlines the significance of loved ones in Byrne’s work. Falling so easily within his sights, they are a source of endless fascination for him, and are often, as a result, the subject of his most powerful works. Byrne is also an obsessive painter of his own likeness, having created hundreds of self-portraits in the course of his long career. For Byrne, identity is fluid, shifting and inconstant, and he appears in his paintings in a dizzying range of guises, somehow concealing as much as he reveals. Indeed, Byrne’s first success as an artist came in the late 1960s when he submitted a series of paintings to a London gallery, claiming they were the work of ‘Patrick’, a retired labourer who painted as a hobby. The works were painted in a faux-naïve style which stemmed from Byrne’s admiration for the work of ‘primitive’ painters like his great hero Henri ‘Le Douanier’ Rousseau (a self-taught French artist who was championed by Picasso and the surrealists). They were an instant hit, and though he quickly had to reveal his true identity, Byrne continued to produce work in a similar vein. 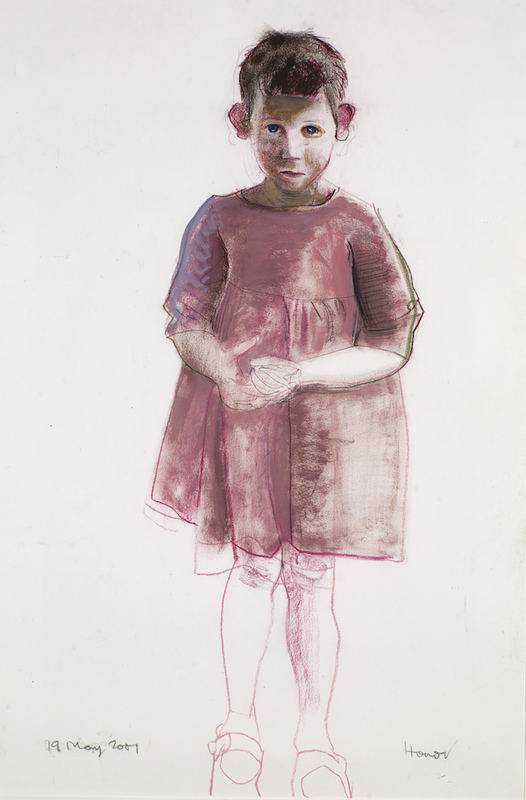 Sitting Ducks will feature some key works from this period, including Self-Portrait in a Flowered Jacket (1971-3) and the remarkable The American Boy (1971), a powerful and enigmatic image, painted on an epic scale. 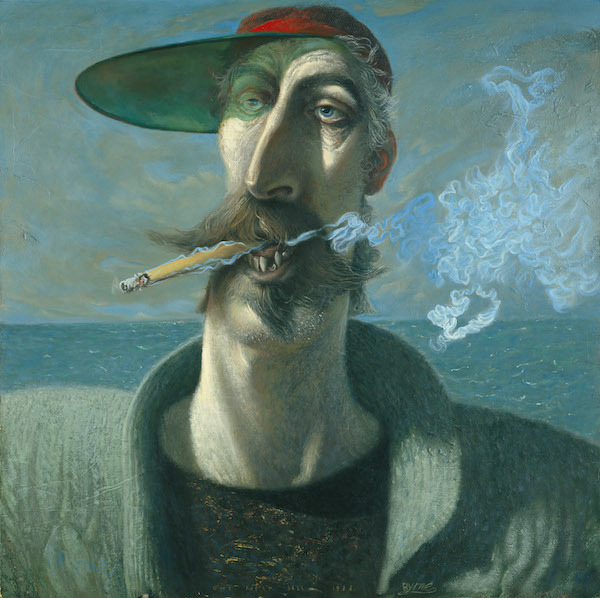 A profoundly individual artist, John Byrne has always admired painters who broke the rules, or who, like Rousseau, didn’t seem to realise that there were any. The prodigious range of work on show in Sitting Ducks illustrates how aptly the same claim can be made for Byrne himself, as well as the remarkable technical prowess, versatility, ingenuity, inventiveness, fun and gravity that he has brought to the genre of portraiture. Organised in partnership with Inverness Museum and Art Gallery. Part of High Life Highland. Following its appearance in Edinburgh the exhibition will tour to Inverness, 1 – 29 November 2014.